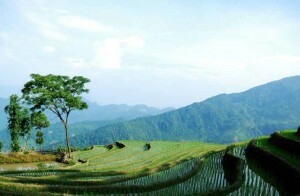 Discover Ho Chi Minh city (formerly known as Saigon) from the famous ancient monuments to the skyline of modern skyscrapers, unveil the old colonial and new modern faces both by waterways and by roads. This new experience combines a Saigon river cruise with a half-day city tour, promises to bring you the best Saigon has to offer. For more information, please contact your travel consultant. 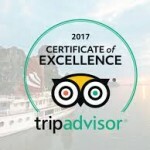 At 07:30 am transfer to Tan Cang pier to start morning cruise to discover the beauty and history of Saigon from the waterways. The boat takes you on the Saigon River along the banks of District 1, District 2 and Thanh Da Island, where you will see the different faces of Saigon and how colonial buildings mix with modern skyscrapers in this dynamic metropolis. 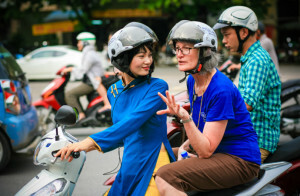 Cruise through isolated canals, local neighborhoods, and some of Saigon’s most rapidly developing areas. This morning breakfast cruise will give you a glimpse of the most interesting sights both on and off the river. 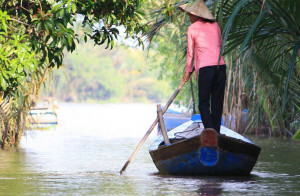 This experience highlights the many contracts in Vietnam’s largest city, and especially how the gridlock on city’s streets contrasts to the quiet waterways. Everything from traditional wooden boats from the Mekong Delta to families living on fishing boats and larger sea fearing vessels can be seen. Breakfast will be served onboard with fresh pastries, coffee and exotic fruits. After the cruise, discover the heart of vibrant Ho Chi Minh City. Your program includes the Reunification Hall, formerly known as the Presidential Palace. It was towards this modern building that North Vietnamese tanks seized on the morning of April 30 1975, as Saigon fell. This fascinating building is filled with history still fresh in the minds of many. From there stroll to the major sights of colonial Ho Chi Minh City: the Old Saigon Post Office, Notre Dame Cathedral, Dong Khoi Street (formerly Rue Catinat), Continental Hotel, Opera House and City Hall. At 01:00 pm start with a stroll to Saigon’s colonial quarter, walking past scenes of everyday life on the way. Admire the beautiful architecture of the Opera House, City Hall, the old Saigon Post Office and more. Hear about the glory days of French Indochina and how that era continues to influence aspects of modern Vietnamese culture. Visit to the Ho Chi minh city’s most iconic building: Reunification Hall. Formerly called the Presidential Palace, images of the building were seen around the world on 30 April 1975 when tanks stormed the gates as Saigon fell to the North Vietnamese. Hear the echoes of time while walking through this historic downtown site. In the afternoon continue on to the War Remnants Museum. Here, your guide will tell the story of the city’s darkest and most tragic hours during the Vietnam War. The museum contains displays of military aircraft, weaponry and many photographs – some that are quite graphic in nature. At 03:45 pm transfer to a jetty on the Saigon River in the heart of the city. 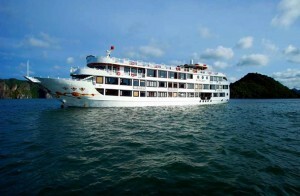 The boat will then depart for the 2 hour sunset cruise through isolated canals, local neighbourhoods, and some of Saigon’s most rapidly developing areas. This late afternoon cruise will allow enough daylight to see the most interesting sights both on and off the river. 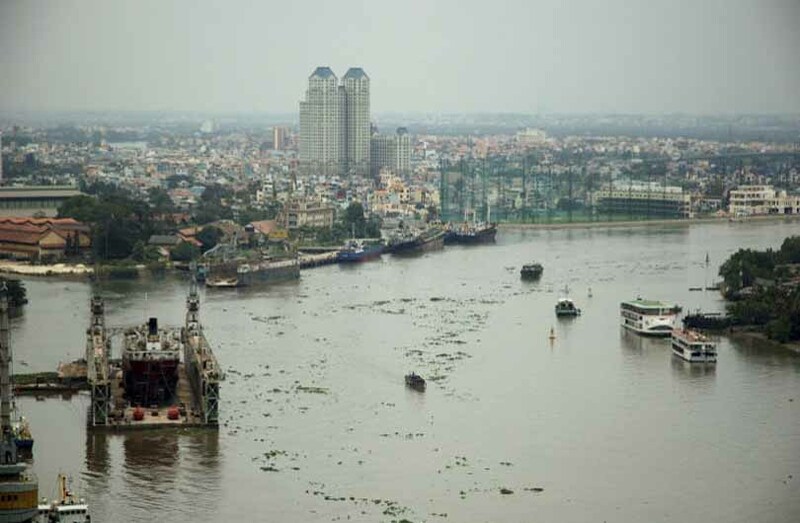 This Experience highlights the many contracts in Vietnam’s largest city, and especially how the gridlock on city’s streets contrasts to the quiet waterways. Everything from traditional wooden boats from the Mekong Delta to families living on fishing boats and larger sea fearing vessels can be seen. At the end of the cruise, watch the sunset over the city’s developing skyline. Your vehicle will be waiting upon disembarkation at the jetty and take you back to your hotel. 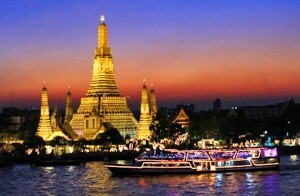 Note: The Saigon river cruise in on a join-in basis. Your guide will pick you up and lead you to the boat, then pick you up upon disembarkation to continue the city tour. Explanations on board will be given by the boat crew (English only).